I’m in the midsts of testing DR/BC at the moment with SRM replicating machines down to our BC site. We’ve upgraded everything to 5.1.1a across the board and since moving to SSO we’ve had our fair share of issues. Some we’ve resolved but one particularly important one involved not being able to authenticate with our offsite domain controller at the BC site when we pull the plug on the metro line, isolating that site from the rest of the network. 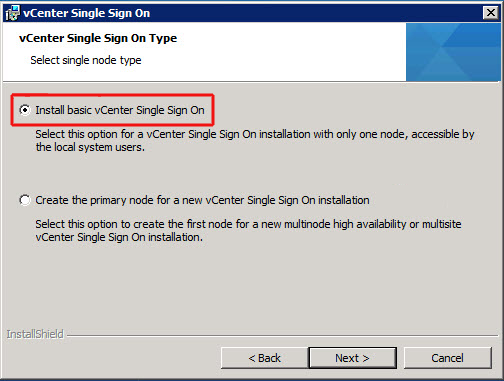 I was able to login to the offsite VC via the Web Client using my domain credentials absolutely fine but when I logged in as admin@system-domain and changed Identity Source to the offsite DC via the SSO config section then I found that I couldn’t login using domain credentials. The message I received was ‘Authentication Failed’. 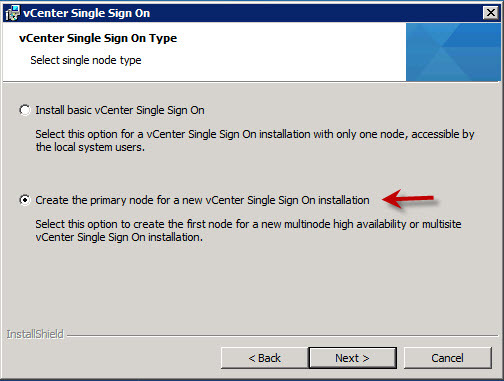 I also noticed I had ‘Failed to initialize start-up services’ and a message advising me on installing a vCenter Server system when I logged in. It was apparent that SSO wasn’t installed or authenticating correctly. Even if you don’t want multiple SSO instances now, you may want them in the future. You don’t need to configure additional ones from the outset, so there’s no harm in leaving the door open for future expansion. Thus I selected the second option, as shown below. . 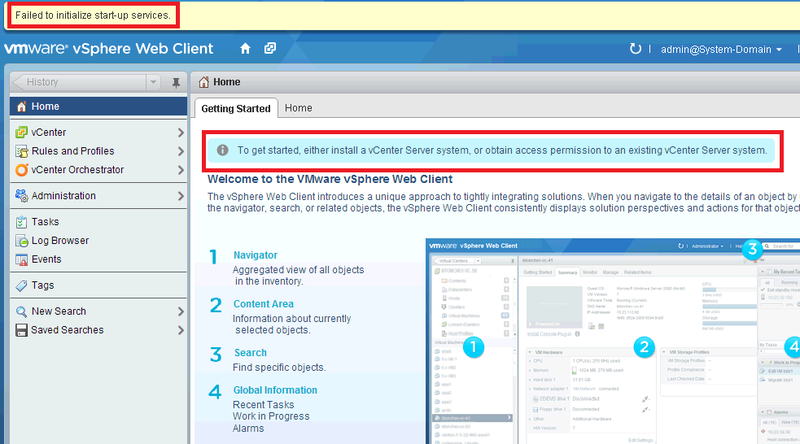 Afterwards I completed the Inventory Service installation, then vCenter and finally the web client. Then the moment of truth: I logged in as admin@system-domain and saw that the offsite VC was now listed in the available systems. Eureka! The next step was to get this VC authenticating with the offsite DC. At this stage I figured I needed a coffee so I rebooted the DC and VC and went for a refill. When the servers had finished booting I logged back in as admin@system-domain and removed the existing Identity Source and added the new details for the offsite DC. This time I paid special attention to the requirements and used the attribute editor in ADUC to retrieve the correct DN for both the users and groups. I also changed the authentication type to require a username and password and it all went in fine. So there you have it. Keep it simple! All that’s left to do now is to pull that plug and make sure I can login when we’ve isolated the BC site. Wish me luck!